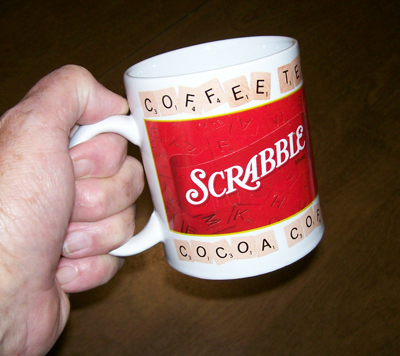 Ceramic coffee cup with Scrabble letters design. 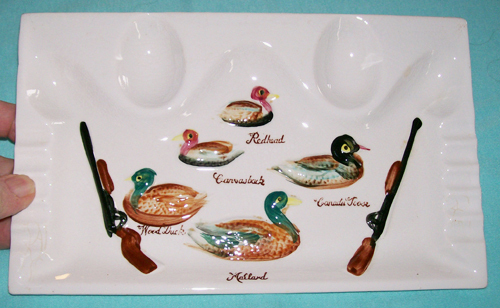 Hand painted waterfowl and shotguns ( Redhead, Canvasback, Canada Goose, Wood Duck and Mallard ). Width is 10 1/8 inches. Breadth is 6 1/8 inches. Sits 1/2 inch high. S & H in the U.S.A. is $5.00. 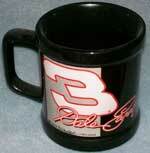 Dale Earnhardt ( # 3 NASCAR ) ceramic Coffee Cup / Mug. Coffee cup has 3 3/8 inch opening and stands 3 3/4 inches high. 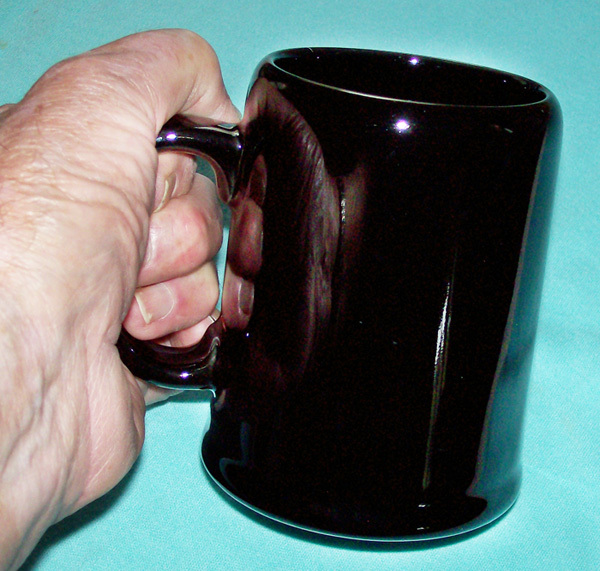 Large coffee cup / mug / tankard. Gold lettering that says 'McDonald's' and ' M & J Management'. Mug has 3 inch opening and stands 4 1/2 inches high.